When arriving in Buenos Aires at the end of October, I was reminded that cruises to Antarctica actually existed. I’ve known for a long time that it was possible but had always heard how expensive it was and thus never gave a serious thought about it. Now being in South America and Ushuaia, the main tourist gate to Antarctica, being on my route, my curiosity pushed me to check if it was an option. After some quick research, I had found a few companies selling tours to the frozen continent but the Antarctica Classic trip by G Adventures was the most affordable and appealing to me. It was also the occasion to make a trip with G Adventures, a company which always get raving reviews. I still let myself a reflexion delay as this was a big sum of money but honestly, my mind was set as soon as I’d seen that I could afford it. 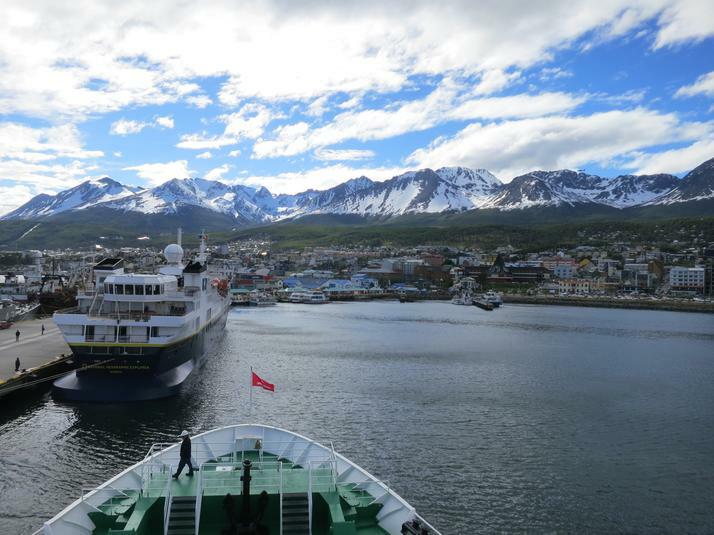 Fast forward a month later and here I am in Ushuaia, ready to embark on the M/S Expedition, destination the Antarctic Peninsula! This boat is owned by G Adventures and is pretty big for only 130 guests. This was a great selling point as most small groups tours to Antarctica are crazy expensive. Embarkation starts in the afternoon. The ship was very comfortable. Cabins are offered in quad, triple, twin and double bed. Bathrooms are en-suite with was one of the best shower I got for quite some time! I was in a triple room and it didn’t feel cramped at all. After a security drill, the ship leaves port and heads towards the ocean, going down the Beagle Canal. 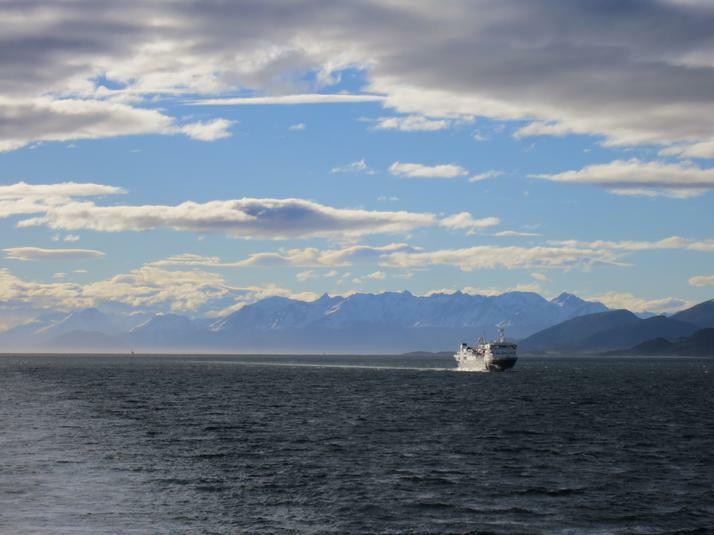 The next two days are spent at sea, crossing the dreaded Drake Passage, famous of its year-round rough weather. Luckily, our crossing was as good as it gets, the staff joking about the fact that it would not even rank on a scale of one to ten. This is all relatively speaking of course as the boat was still rocking decently. Life on board during these two days is relaxed, briefings and lectures filling up the time. This is not your average cruise trip and for most people on the boat, learning more about Antarctica is part of the experience. Lectures range from wildlife to geology, with workshops on photography and weather. In between these events, the ships also includes a library, a gym, a gift shop, a bar and a lounge area as well as the dining room. Internet is even available although very expensive as it is a satellite connection. Meals are all included and while beverages are extra, they are not over-priced. The food was varied with dishes from all around the world and of very good quality. All in all, this was a very luxurious expedition. During the Drake crossing, not much is happening outside. 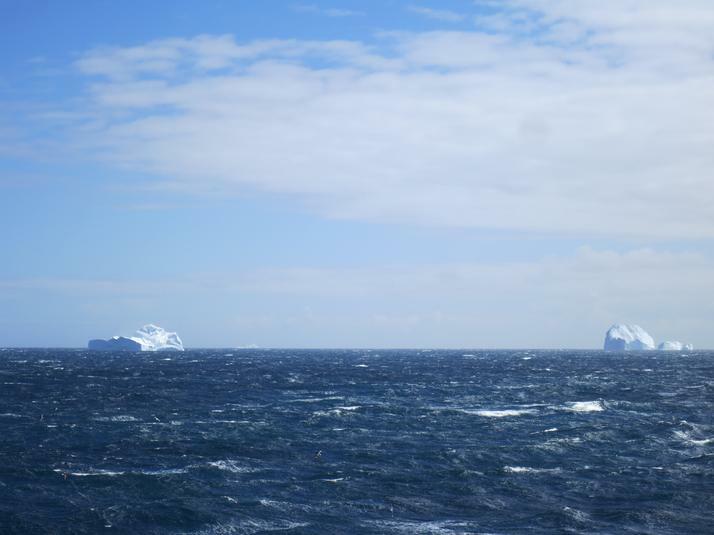 Winds are blowing hard and it gets freezing cold as you cross the Antarctic Convergence.